I'm sure all of you have read in previous posts that I try my best to take good care of my skin. That's a very important part of my war on aging. It's very important to me too that the products I use aren't full of harmful chemicals. Harmful chemicals cause more harm than good in person hygiene products. I always try to find the most natural and healthy approach. I remember as a child that any kind of skin irritation my grandma would always give us kids an oatmeal bath, because oatmeal has a very soothing property. Honey is so good for our bodies in so many ways, so when I found this soap, Sweet & Clean Organic Honey Oatmeal Soap by Built by Bees , I was very excited to give it a try. Oatmeal and honey together, I knew this would be a great combination. This soap contains 6 organic ingredients, this combination will nourish, protect and restore your skin: honey, oatmeal, coconut oil, olive fruit oil, bran, and palm oil. Natural honey draws moisture from the air , leaving your skin feeling soft all day. These natural oils and organic honey will soften your skin and leave you feeling truly pampered. Plus it has a nice clean fresh scent. I feel god about using this soap, I know it's actually good for my skin. Nothing looks better than well cared for skin, no matter what age you are. 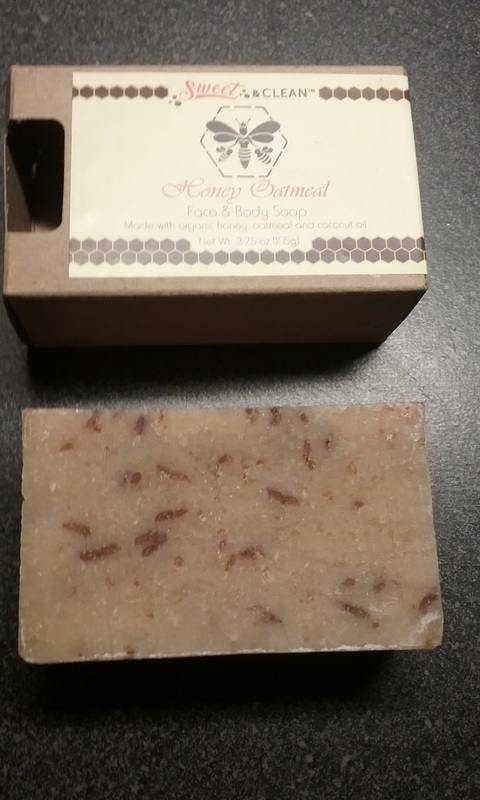 This soap looks terrific, and oatmeal is good for skin!! Love small batch, homemade products :-) This looks amazingly soothing for skincare.